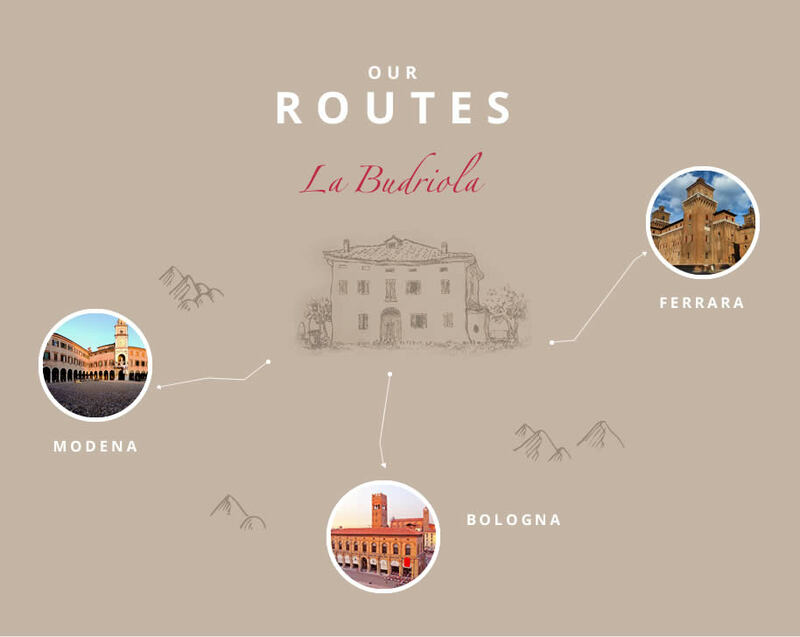 Enjoy a relaxing day in the streets of Bologna, admiring its artistic and historical beauties. 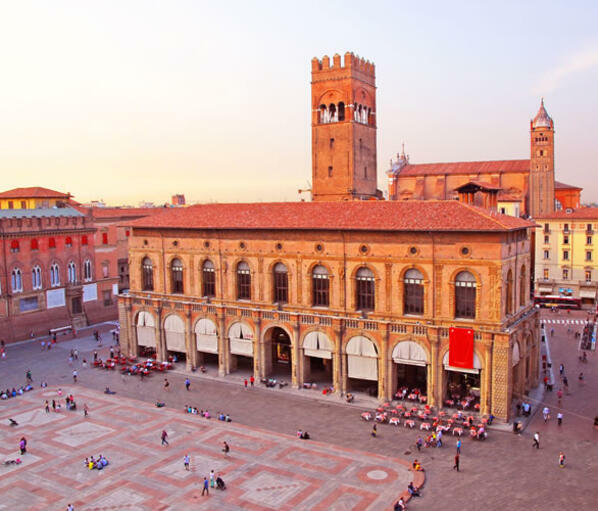 Its famous arcades, the wonderful Piazza Maggiore, the complex of Santo Stefano, the two towers, the Palazzo del Podestà and San Luca area are only some of the key symbols of this marvelous city. The Cathedral, the Ghirlandina Tower and Piazza Grande have been a UNESCO World Heritage site since 1997. 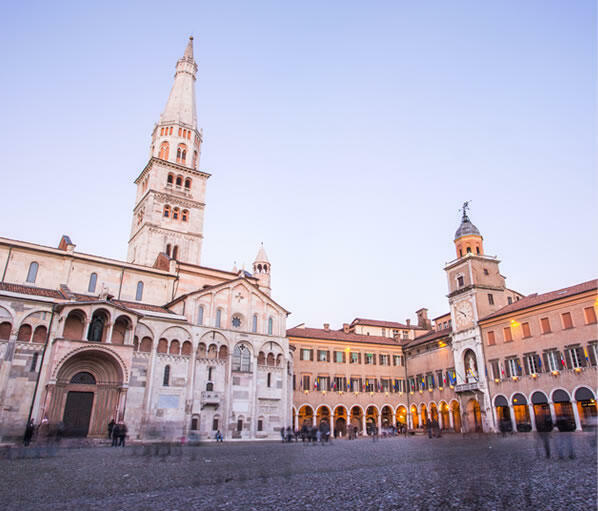 Modena is a lively, cheerful and welcoming city, with an excellent food tradition, for a day out that combines the pleasures of food, history and culture. Ferrara is the city of bicycles, the small Amsterdam of Romagna. 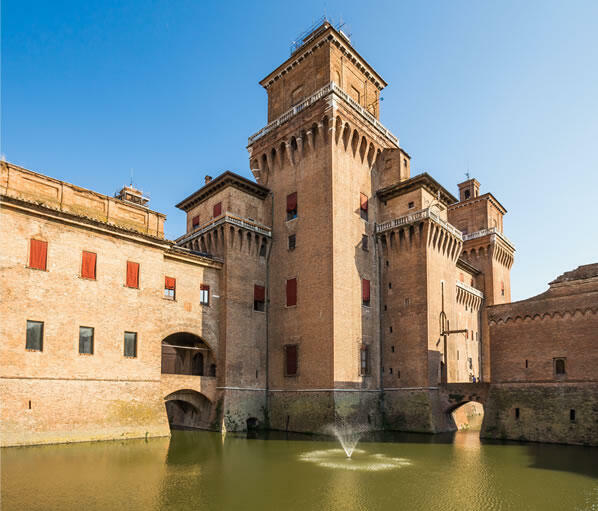 Famous for its Castello Estense, it has been a UNESCO World Heritage site since 1995. Every year it hosts important cultural events and art exhibitions organized in the lively historic center. Pieve di Cento is a small town on the river Reno, between the cities of Bologna, Ferrara and Modena. 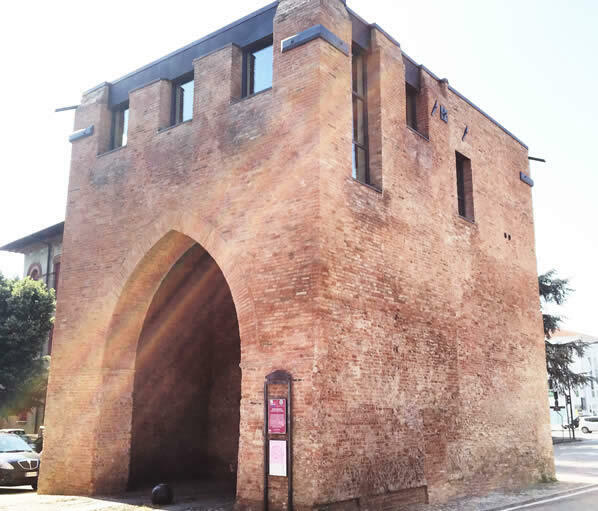 Here you can visit the Magi 900, a museum of artistic and historical excellences, and the Museo delle Storie di Pieve, a civic museum at the Rocca and Porta Bologna that tells about the many little stories of Pieve di Cento people. In the province of Bologna there are two museums dedicated to the legendary Lamborghini. The first, situated in Funo, is an exhibition space linked to the memory of one of the four-wheel myths, a real Made-in-Italy excellence. 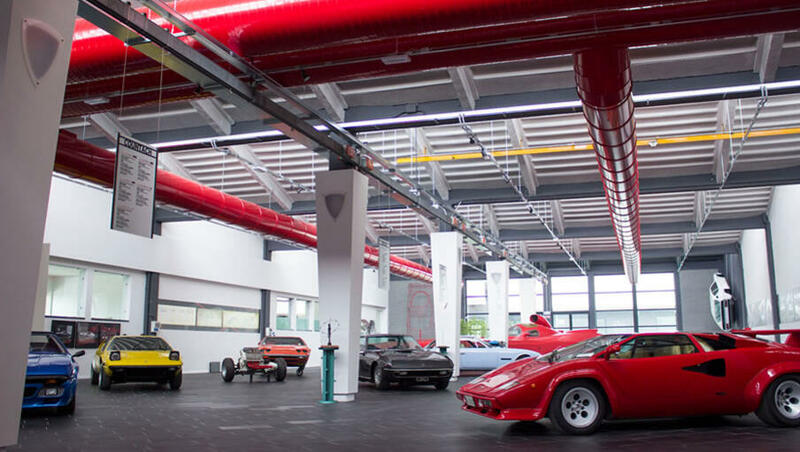 The second, situated in Sant’Agata Bolognese, will make you discover the origins of Ferruccio Lamborghini, showing you the main models and racing cars, with the possibility to visit the production linese. Established in Maranello, the Ferrari Museum is a real daydream for all lovers of the Cavallino. 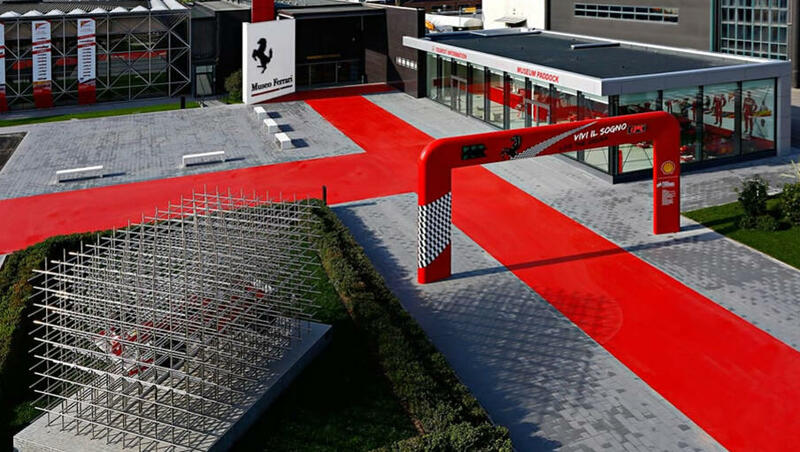 A unique and exciting experience, a permanent exhibition dedicated to the world of Formula 1 and its champions, with cinema room, simulators, a photographic set and much more. Between Ravenna and Ferrara there are the famous Valli di Comacchio, a special protection area within the Po Delta Park. Over 300 species of birds, including flamingos, black-winged stilts, kingfishers and many more, find their ideal habitat here.